Russia’s weapons chief has called the US president ‘a dreamer’ after Obama announced the Russian economy was “in tatters” in his State of the Union address. “Obama has claimed that the Russian economy [is] in tatters because of the United States. Like he has torn us like a dog would tear a rag. What a dreamer,” Dmitry Rogozin wrote in his Twitter on Wednesday. 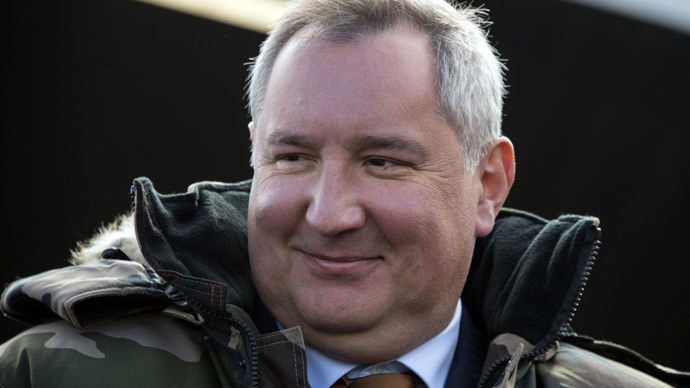 The statement was the first reaction of a senior Russian official - Rogozin currently holds the position of deputy prime minister in charge of the defense industry – to Barack Obama’s claim of US victory over Russia, made in Tuesday’s State of the Union address. "Well, today, it is America that stands strong and united with our allies, while Russia is isolated, with its economy in tatters," the US leader said. MP Frants Klintsevich, of the parliamentary majority party United Russia, has said that Obama’s statement revealed the true attitude of the US ruling elite towards Russia as well as America’s plans of global dominance. “US President Barack Obama’s claim that thanks to US efforts Russia is isolated and its economy is in tatters shows the real colors of American ruling circles.This is exactly how they would like to see Russia,” the lawmaker was quoted as saying by TASS. Klintsevich added that he didn’t think it a coincidence Obama made this statement at a historical moment, when Russia has found its place in the global political and economic system, understood its interests and learned to defend them. The politician advised all foreign leaders to come to terms with Russia’s opposition to US global dominance, noting that this stems from the Russian geopolitical position. “From this point of view, it makes no difference if Russia is a socialist or a capitalist country, or if it follows some other economic model,” the MP noted. Klintsevich concluded that Russia’s only possible reply to Barack Obama’s statement was to get over all the problems and become even stronger. “This also matches the long-term interests of our neighbors in Europe,” he said. MP Mikhail Yemelyanov, of the leftist opposition party Fair Russia, told reporters that Obama’s claims of defeating Russia were simply attempts to cover up failures in US foreign policy. “The US president indulges in wishful thinking and exaggerated his victories at least twice during the speech,” Yemelyanov said. The Russian MP thought the recent rapid devaluation of the ruble, which Obama took credit for, had been caused by various processes in the world economy as well as by mistakes of Russian financial officials who had allowed the US dollar to play too large a role in the Russian economy. Yemelyanov also said that the current difficulties and the urgent need for import replacement will eventually prove to be good for the Russian economy, because they will make the country stronger and more self-reliant. Leading Russian senator Konstantin Kosachev commented that President Obama’s position could lead to total alienation between Russia and the West and that would be a major blunder by the US President. “We survived through the 1990s when the situation was much worse. We did so without any external help. We will survive the current crisis and we will become stronger,” Kosachev wrote in a short statement published on the Upper House’s website. “The winner will not be among those who pushed us when we were falling, but those who reached out a hand and supported us in difficult times. We can be grateful and we value any support. We were grateful to our allies in WWII,” Kosachev said. “Today, they cannot have the alleged isolation of Russia which the US President reports as his personal achievement, but the loss of Russia to the West. And this will be the biggest strategic mistake during the whole post-Cold War period,” he added.